Professors and staff from Carnegie Mellon University, Stanford University, UC Berkeley, University of Southern California, and many other research universities provide us with insight to future market needs and ideas about the disruptive technologies that may meet those needs. Our industry advisors help us source opportunities and complete due diligence. Dr. Bekey is Professor Emeritus of Computer Science at the University of Southern California and an Adjunct Professor of Engineering at California Polytechnic University (Cal Poly) in San Luis Obispo. He is an expert in robotics and artificial intelligence. George has worked for Beckman Instruments and TRW. Bob Broderson is a pioneer in the field of analog MOS circuit design and implementation of signal processing systems. He received his Ph.D. from MIT in 1976, and was associated with the Central Research Laboratory, Texas Instruments until 1976 when he joined the EECS faculty at the University of California, Berkeley. Bob is a member of the National Academy of Engineering and his research interests include RF and digital wireless communications design, signal processing applications, and design methodologies. Dr. Rajit Gadh heads the UCLA-Wireless Internet for Mobile Enterprise Consortium of which major companies including Intel, HP, Siemens, Qualcomm, Northrop Grumman, Ericsson, Sprint and Computer Associates are members. He works in the areas of RFID middleware, reconfigurable interfaces for networking of sensors and wireless multimedia content delivery. Dr. Jim Gibbons has been on the Stanford faculty since 1957 and was Dean of Engineering from 1984 to 1996. He pioneered the use of ion implantation and rapid thermal processing techniques for solid-state physics. He has advised the Presidential Science Advisor under three presidents. He is the current Executive Vice Chairman at Xerox Palo Alto Research Center. He is also Chairman of Novariant, Inc; a past member of Cisco System’s Board of Directors for 13 years; Chairman, Learning Technologies, Inc; and Chairman, SearchFox. Dr. Joe Goodman is the William E. Ayer Professor of Electrical Engineering, Emeritus, at Stanford University. He has served as a Director of several corporations, including Optivision, Inc. (which he co-founded), ONI Systems, Inc., and E-TEK Dynamics, acquired by JDS Uniphase He currently serves as the Chairman of the Board of NanoPrecision Products, Inc. and is on several advisory committees for small photonics companies. Dr. Randy Katz is former Chair of Electrical Engineering and Computer Science at the University of California, Berkeley. His current research is focused on network management and data protection. He participated on Vice President Gore's National Performance Review and played a lead role in formulating the Federal HPCC program's Information Infrastructure Technology and Applications research program in support of the Administration's National Information Infrastructure Initiative. Dr. John Mitchell is the Mary and Gordon Crary Family Professor in the Stanford Computer Science Department. His research on computer security focuses on identity theft, web and network security, trust management, and distributed access control. He has also worked on software analysis methods and tools. Dr. Jim Morris is the former Dean of Computer Science at Carnegie Mellon University. Jim previously taught at the University of California, Berkeley. For ten years he worked at Xerox Palo Alto Research Center where he was part of the team that developed the Alto System. Dr. Demetri Psaltis is the Thomas Myers Professor of Electrical Engineering and the Director of the Optofluidics DARPA Center at Caltech. His research interests include optical information processing, holography, nanophotonics and optical devices. He co-founded Ondax. Dr. Raj Reddy was the founding Director of the Robotics Institute and has served as the Dean of School of Computer Science at CMU. He was awarded the Legion of Honor by President Mitterand of France. He served as co-chair of the President’s Information Technology Advisory Committee from 1999 to 2001. Dr. Shankar Sastry is Chair of the Department of Electrical Engineering and Computer Science at Berkeley. His areas of research include embedded and autonomous software, computation in novel substrates such as DNA, nonlinear and adaptive control, control of hybrid systems, embedded systems, sensor networks and biological motor control. He has served as Director of the Information Technology Office at DARPA. Dr. Herb Schorr is Executive Director of Information Sciences Institute at University of Southern California. He is in charge of the School of Engineering’s Distance Education Network and Information Technology Program and co-head of the High Performance Computing Center. 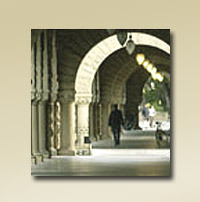 Dr. Len Silverman was the Engineering Dean at the University of Southern California for 17 years. Under his leadership, the School of Engineering's sponsored research awards more than quadrupled to over $100M, contributing to the school’s rise to the top 10 in graduate school ranking. He also serves as director of Advanced Micro Devices, Inc.
Dr. Mike Spence was recently awarded the Nobel Prize for his work in Economics. He has served as chairman of the board on Science, Technology, and Economic Policy of the National Research Council, where he headed a distinguished panel of academics and business leaders that studied factors affecting the nation's economic growth, and economic policy surrounding science and technology. He has previously been on the board of directors of Sun Microsystems, Siebel Systems, Bank of America, and Nike. Dr. Van Houweling is President and CEO of the Internet2, a university-led not-for-profit corporation providing advanced Internet capabilities to the higher education and research community in the United States. He is also a Professor in the School of Information at the University of Michigan. Prior to Internet2, Doug was Dean for Academic Outreach and Vice Provost for Information and Technology at the University of Michigan. Previously he was Vice Provost for Computing and Planning at Carnegie Mellon University. © 2017 DiamondHead Ventures. All rights reserved.